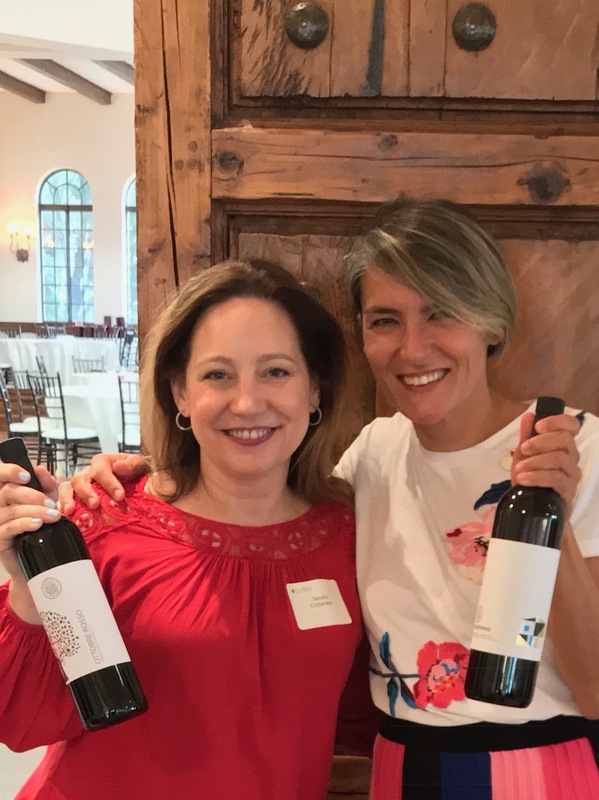 The 50th anniversary of the Montepulciano d'Abruzzo DOC is this year and select winemakers went on a tasting tour in Houston, Toronto, and Boston. 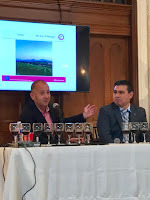 They kicked the celebration off with a seminar in Houston featuring local Italian wine expert and blogger, Jeremy Parzen, and Texas-based but Italian born sommelier and geologist, Osvaldo Pascolini. Pascolini, a Master of Terroir, first led the group through the geologic features that make the Abruzzo region ideal for wine production. Abruzzo is located between the Adriatic Sea and the Gran Sasso and Majella massifs. This short distance between the coast and the mountains create the unique conditions that help to produce high quality grapes. The diurnal swing, or change in temperature from day to night, helps the grapes to fully ripen while still maintaining their natural acidity. The good ventilation and ideal amount of rainfall also contribute to the quality of the fruit produced. The region has more environmentally protected land than anywhere else in Italy with three National Parks and over ten nature preserves. This concern for the land is translated into the wines with most being sustainably produced and many being fully organic or biodynamic. Though there are a substantial number of younger or next generation producers, their hearts remain with their land's history and their focus is on their indigenous grapes. The Montepulciano grape variety is the most important and most widely planted in Abruzzo and was the star of the guided tasting. Also important, is Cerasuolo d'Abruzzo, a deeply colored rosé made from the same Montepulciano grapes along with fresh white wines made from Trebbiano, Pecorino, Passerina, Cococciola, and Montonico. While some of these grapes are not well known, the wines produced from them are definitely worth exploring. After the seminar, Parzen invited James DeLeon to join him onstage for the guided tasting. Deleon is a favorite on the Houston wine scene, he has achieved level 3 status in the Court of Master Sommeliers and is instrumental in leading other sommeliers to success through the notoriously difficult testing process. Il Feuduccio Montepulciano d'Abruzzo 1999 - Always a treat to taste older wines, this nineteen year old beauty showed the attendees the exceptional aging potential of these wines. From a hillside vineyard located over 1400 feet above sea level on a mix of clay and calcareous soils, this unfiltered red was fermented in stainless steel vats followed by 12 months of barrel aging in French oak before bottle aging. 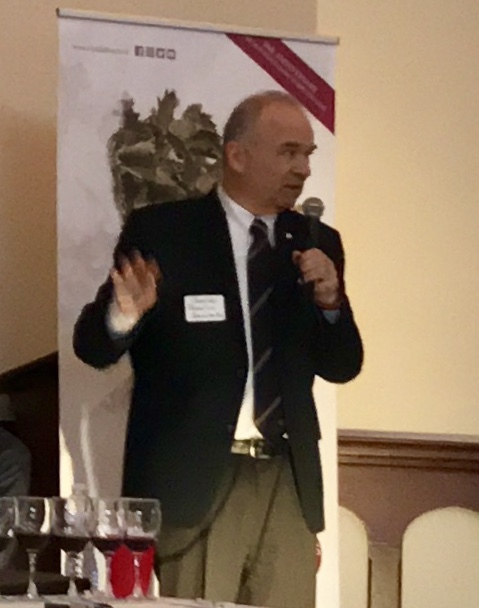 Parzen stated that he put this first in the lineup because he felt "It is time to stop thinking of Montepulciano only as a by the glass wine, they can be collectible." 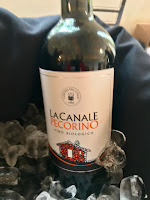 The wine was fresh and vibrant with black cherry and floral notes of rose and violet, with hints of dried apricot and leather in the lingering silky finish. While this vintage is not available for sale, I also tasted the 2014 at the walk around tasting afterwards. Knowing its aging potential and that it is priced around $24, it is one to purchase multiple bottles to both drink now and also to try to hold. The younger version was loaded with dark fruit, tobacco and a bit of truffle, it was velvety and absolutely delicious as well. Dora Sarchese Montepulciano d'Abruzzo Riserva "Rosso di Macchia" 2005 - This is the top wine of this small producer. Fresh and aromatic on the nose with violet, cherry and licorice, the bright cherry flavors matched through the persistent spicy finish. DeLeon enjoyed the well-integrated tannic structure and stated the aroma profile was "like walking into a spice shop". Parzen commented on the crowd pleasing nature of the 13 year old wine. 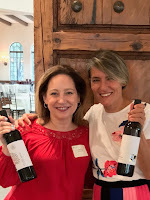 Collefrisio Montepulciano d'Abruzzo "Semis" 2012 - This winery is the collaboration of two friends whose intent was to stretch the limits and show the great potential of Montepulciano. It was loaded with blackberry and cherry with notes of clove and black pepper with velvety tannins and a lengthy finish. This wine was more concentrated due to its lengthy maceration period. Parzen commented on its youthfulness stating "it's on fire right now." Cascina del Colle Montepulciano d'Abruzzo "Mammut" 2014 - This winery is centered between the sea and the mountains, they practice organic grape growing and are working towards certification. Rich and beautifully textured with aromas and flavors of mixed berries and a bit of chocolate. Deleon described it as "an interesting combination of chewy fruit and a soft plummy finish." 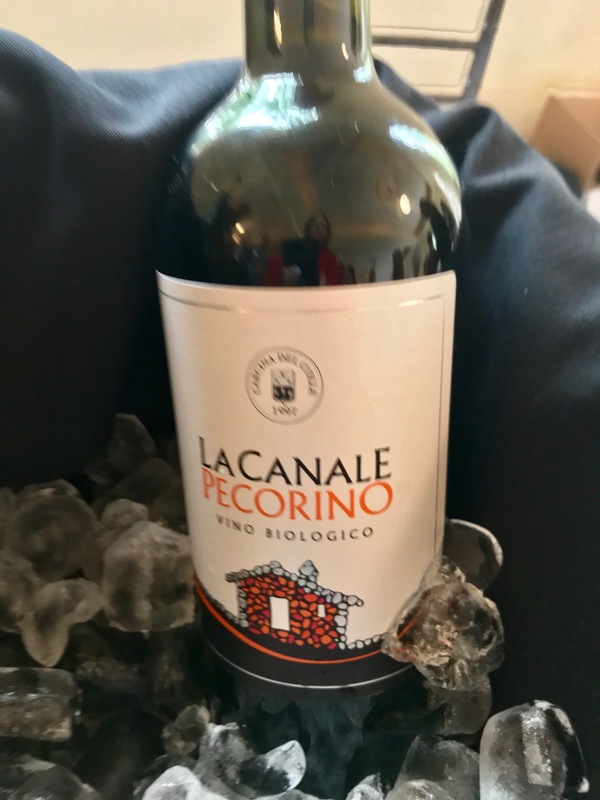 I also enjoyed their Terre di Chieti Pecorino "La Canale" 2017, it was fresh and intense. Tenuta Arabona Montepulciano d'Abruzzo "Manus Plere" 2014 - Also located between the coast and the mountains, this winery is certified organic since 1991. Fresh and fruit driven with aromas and flavors of sweet ripe cherries with a touch of dried herbs. It had a grippier tannic structure and a bit of salinity in the lingering finish. Tenuta I Fauri Montepulciano d'Abruzzo "Ottobre Rosso" 2017 - This wine comes from the thirdgeneration of a wine making family located in Chieti. The grapes were fermented and aged in cement vats which is a very traditional production method in Abruzzo. Fresh and fruity with pomegranate and cherry, a bit more rustic with a big structure and a crisp, dry finish. I also tasted both the Pecorino and Cerasuolo from Tenuta I Fauri, both are fresh, delicious, and very easy drinking. Parzen stated the Tenuta I Fauri Cerasuelo "Baldovino" 2017 was one of his standouts from the walk around tasting. Citra Montepulciano d'Abruzzo Riserva "Caroso" 2013 - The grapes for this wine were hand selected from the top properties of this cooperative. Mulberry, licorice and balsamic aromas and flavors mingled through the velvety tannins through the persistent finish. Deleon commented on the wine, "Value is key here, high quality at a great price." Cantina Frentana Montepulciano d'Abruzzo Riserva "60 Anni" 2015 - Also from a cooperative, this group is celebrating their 60th anniversary together and this bottle is named for that purpose. Though fully dry, it had a sweet fruit concentration of mixed berries with a touch of chocolate and spice through the smooth, lingering finish. After the tasting, DeLeon noted, "Montepulciano is a grape not everyone knows but it deserves recognition. The wines it creates are so expressive and well structured." While Parzen concluded, "I love these wines, its what my wife, Tracie, and I drink regularly. 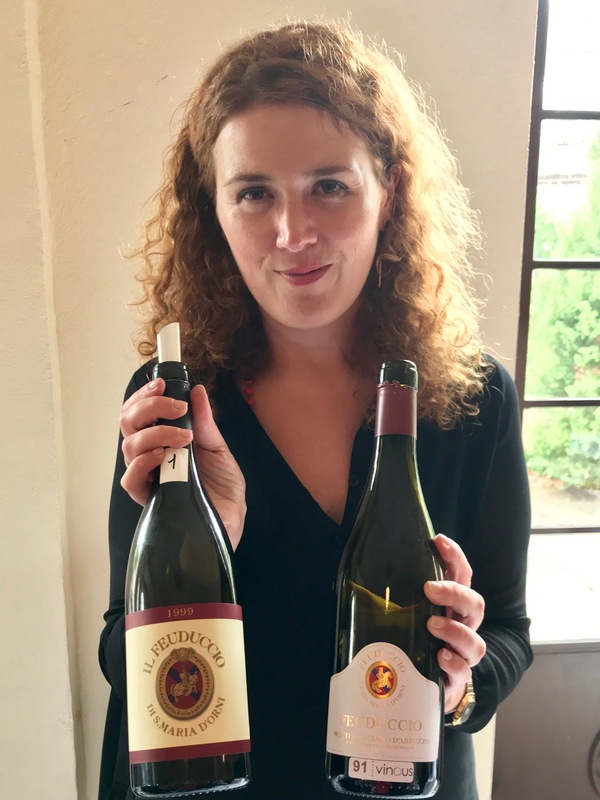 All of these wines are confident and happy to be what they are, very Italian." Unfortunately, I did not get to taste everything offered at the walk around afterward. Frentana Pecorino Costa del Mulino 2017 - Crisp and fresh with citrus and peach notes. Tenuta Terraviva Cerasuolo d'Abruzzo "Giusi" 2017 - Aromatic and juicy with a pomegranate flavor. 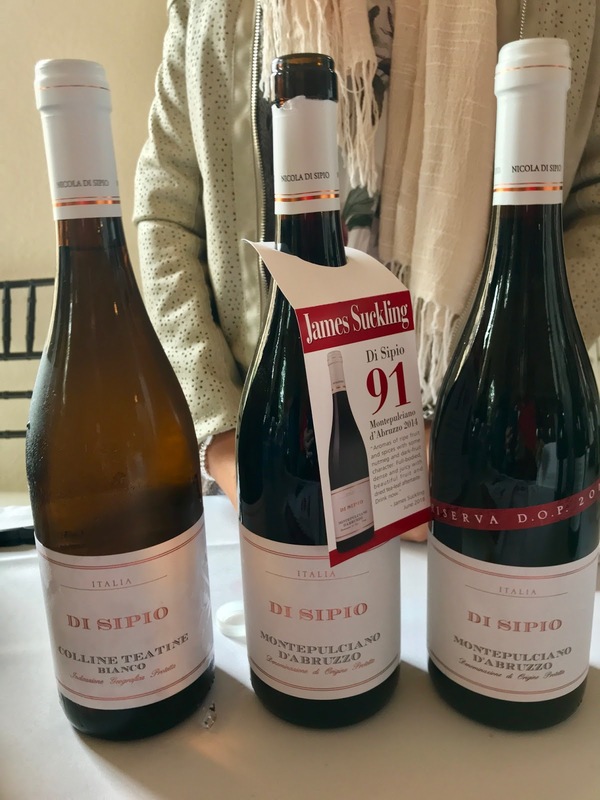 Di Sipio Montepulciano d'Abruzzo 2015 - Elegant and intense with cherry/berry and licorice. 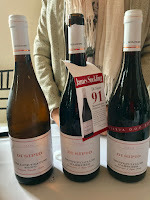 DeLeon shared that he was also a big fan of all of the Di Sipio wines.